There are really only 3 main things to remember when you are trying to organize and store items in your home. If you have not used it in a YEAR!! – get rid of it! Don’t hold onto household items with the idea that you will use it “someday”. Find a specific place for everything. Label boxes, shelves, doors or containers so that everyone in the household knows what goes where. Cluster things that are similar and are most likely to be used together. Home storage is all about organisation. For example store the baking items in a cupboard for baking, lightbulbs near the stepstool, etc. With these items in mind there are many affordable and creative ideas you can use in finding unusual storage space in your home. A child size bench can make an inexpensive bedside bookshelf that can be purchased unpainted and finished to match your child’s room.You can also use empty diaper wet-wipe containers to store small toys and blocks. Available in primary colors or pastels, wipe containers can be used with the flip up lid left on or removed to make a see through bin. Label the recycled containers with a permanent marker to help children learn to sort their toys into the correct bin. If you decide to store a different group of toys the label can be erased with a dry paper towel and finger nail polish remover. If your child has room under their bed consider adding 4 rolling wheels to a yard sale dresser drawer. Most twin beds can accommodate 2 or more drawers and make for easy toy cleanup. Use a hanging shoe bag for kids to organize small stuffed animals or Barbie dolls. For the last home storage idea, add a skirt to a desk or bookshelves to hide storage boxes and make the room look neat and tidy. Install hooks to the back of children’s doors to hang backpacks and coats. 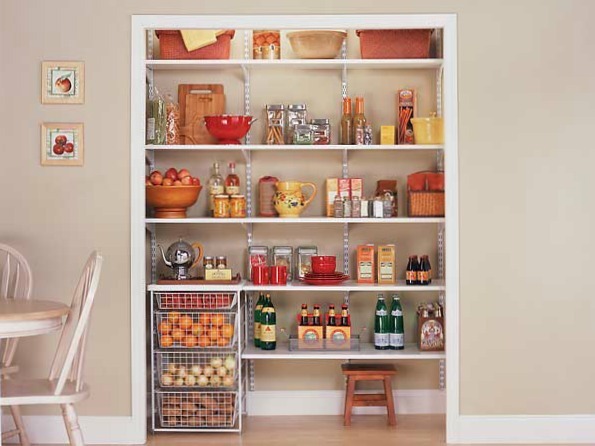 Hardware stores offer a long cork and metal running board that can be installed to hang artwork or notes. Decorated empty coffee cans, chip cylinders and cookie tins or wooden craft boxes make great looking storage containers that can be used in virtually any room in the house. Boxes can be decorated with left over wall paper scraps, colored corrugated paper and twine or sponge art. Be sure and label your items when the boxes are finished! A good idea for board children.Decorative screens are a popular way to define a room space or maintain privacy. Adding fabric pockets to the panels are a fun way to add storage options. Use the pockets to organize magazines, newspaper, unopened mail or your sewing project. Bathroom towels can be stored attractively stacked and rolled up in a oversized wicker basket. Towels or magazines can also be hung from an antique wooden ladder in your bathroom. Use wall mounted baskets attached to shelf brackets for a attractive shelf that can hold bathroom supplies or home office paperwork. 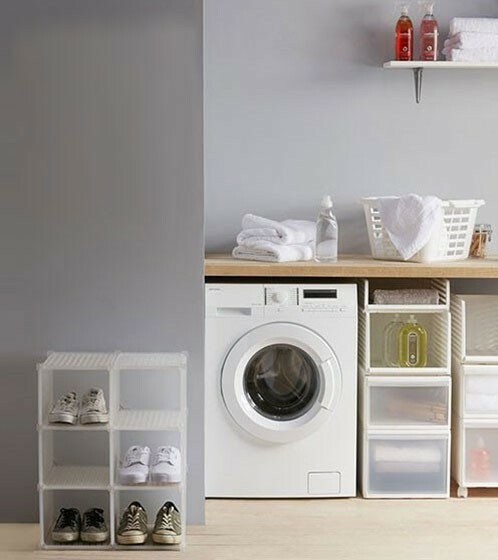 Be creative and try to think of alternative uses for normal household items and you will be surprised at the simple storage solutions you can come up with. Storage Systems – Storage Systems come in many forms, domestic and commercial. Here you will find links and basic information regarding a wide range of storage systems.